*Free Gift Bag for Mother's Day or any special occasion when you need a gift that will be appreciated and used! All you have to do is choose your products, size, and scent. Then, at checkout, indicate in the notes section that this is a gift and write a message to your recipient. We will wrap, attach a message card and ship to your chosen destination. Mother's Day is Sunday, May 13th. The last day for shipping for Mother's Day is Monday, May 7th. As always, please feel free to contact us or call the store at 336.883.7627 M-F from 10am - 6pm, Saturdays from 10am - 4pm if you wish to discuss other options or just have a question. 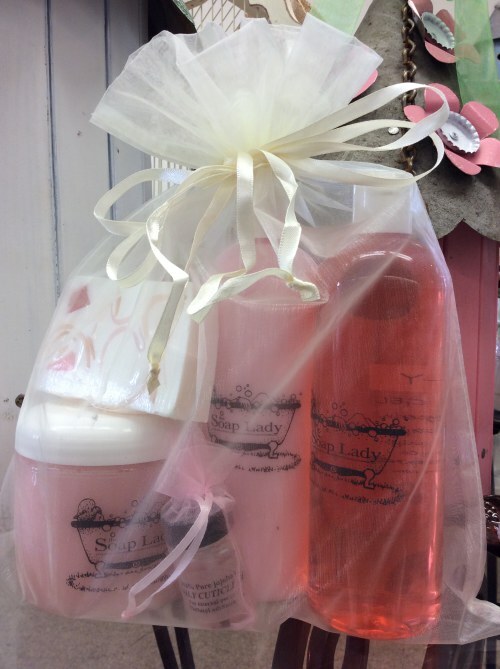 Thank you for considering www.thesoapladystore.com for your daily and special occasion gifts. * Only gift bag free, products must be purchased.